Don’t miss out…the annual Noosa International Food and Wine Festival is just around the corner. Due to be held in Noosa during May, it is a foodie delight and a Noosa event not to be missed. This year promises to be bigger and better with more than 200 producers, wine makers and chefs joining together to showcase the local area, great food and wine. Take part in a great range of food related activities all set in stunning Noosa. Hurry, secure your tickets as well as your Noosa accommodation so as not to miss out on this fantastic event in Noosa. 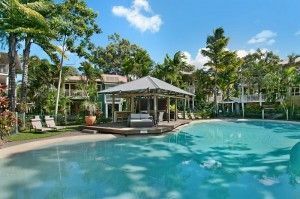 South Pacific Resort in Noosa offers a great range of fully self contained apartments set in a stunning lush tropical setting. Choose from 1, 2 or 3 bedroom fully self contained bungalow style apartments. All are air conditioned with most also featuring a spa bath, the perfect place to relax after a day at the Noosa festival. Set in tropical gardens this Noosa resort also features a tennis court, 4 pools, an onsite day spa as well as restaurant and bar. Everything you need is at your fingers tips. It is a short walk to Sunday’s Farmers Markets, supermarket and cafes and restaurants. What are you waiting for? Ring us today to secure your accommodation in Noosa for this year`s annual Noosa Food and Wine Festival, it promises to be action packed.